Maintaining a video tape-based infrastructure becomes an increasingly expensive proposition as equipment ages, mechanical parts require replacement, and legacy systems are phased out. 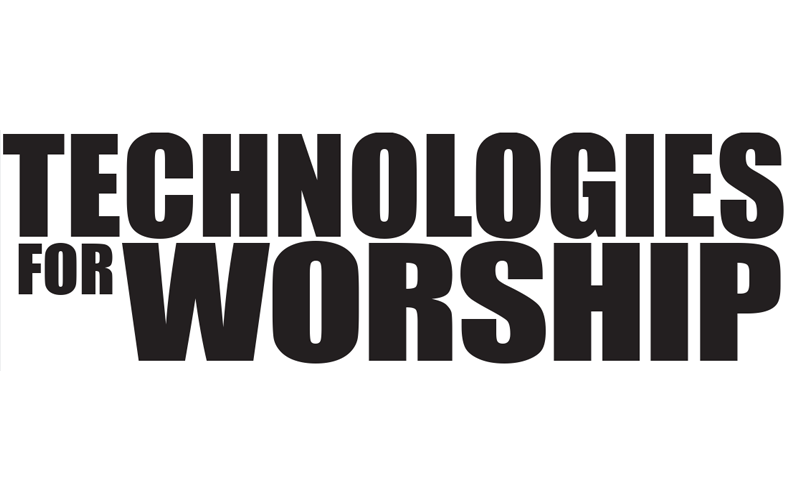 In actuality, it is far less costly in terms of time and equipment for a house of worship to invest in technology that supports a file-based infrastructure than to continue to own and operate equipment that relies on video tape. A simple system comprising a Mac with a video card can capture, edit, and create a show product for under $10,000, while more comprehensive, multi-user systems can cost more than $100,000, plus the cost of storage and infrastructure to support them. The cost and complexity of file-based infrastructures – including systems for media capture, storage, and management – depend on the equipment chosen and their performance and capacity. In all cases, whether it is a small system for recording a Sunday service or a large system capable of supporting national broadcasts, the fact is that all faith-based productions are best served by file-based content management systems. Faith-based facilities face the same media management challenges as the secular media productions in that the media generated for each service must be kept organized and catalogued for later use. On an ongoing basis, worship services or special religious events may be compiled, edited, mastered, and rereleased on DVD, broadcast to a local congregation, or distributed across the United States, and in some cases, even internationally. Often the production(s) will need to be distributed in multiple languages and include closed captioning, and often made available as Web-based versions. As the content is likely topical, a timely release of worship services via the appropriate outlet is also vital. Lastly, it is helpful if the recorded material can be used and reviewed by the production director or team for training or development activities, as well as for reference. The flexibility of a file-based workflow is critical in helping a house of worship meet all of the challenges, especially when it comes to responding more effectively to the growing demand for quality media through a variety of platforms. 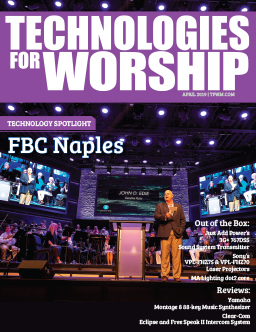 By leveraging the ability to create and store digital media assets, houses of worship can streamline and simplify production workflows, improve collaboration among staff members, and reduce the overall time, expense, and labor required for media production and delivery to the defined target of platform. To maximize the efficiency of media access within these file-based workflows, it is worth a facility’s time, energy, and expense to centralize all media assets. Centralized media storage allows a facility’s production team (regardless of size) to work immediately – and simultaneously – with a single instance of stored media, in addition to enabling much faster parallel workflows- as opposed to the serial model dictated by tape-based operations. This shared file-based storage model ensures that the correct and most up-to-date version of an asset is always easy to identify and access. High media availability is particularly important when turnaround time is limited and the production works with numerous assets of similar content, such as from multiple Sunday services. By eliminating the need for duplicate copies of media, overall storage requirements are reduced and media protection is improved, providing a straightforward means of controlling access through authorized user profiles. In a storage area network (SAN) environment, these are the inherent benefits. Because houses of worship vary by size, each facility will have different storage needs, and the key to successful management of stored assets depends on implementing the right system in tandem with the right technology partner. Initially, a smaller facility can start by centralizing assets on a small network attached storage (NAS) server. In this scenario, the captured video content (ie: concluded services, sermons, etc.) are stored in a central location. This simple and cost-effective solution typically enables machines connected over an Ethernet network to copy or “pull” media, play and work on it locally, and then “push” the media asset back onto the server. While a NAS fulfills the very basic requirements of centralized storage, it nevertheless represents a significant improvement over managing tape-based assets and the equipment needed to work with those assets. A small SAN builds on this model, providing a central online store of content along with valuable features such as real-time media streaming, which lets users play and record video and audio content directly from the storage system, rather than copying it to their individual workstations. NAS and SAN systems can be combined to achieve different functions and cost efficiencies within a tiered workflow approach. 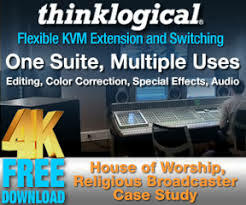 Both solutions can scale from small one-to-two person user environments typically found in a smaller house of worship, to more than a 10-20 users that might be needed for a mega church’s international broadcast production. The lower-cost NAS system is a good option when fast, immediate access is not the main priority for the church. While transcoding and media transformation are possible with a NAS system, they will require some time. When fast access by one or more users is required, the SAN provides the higher level of performance needed. Additional services such as media verification can be incorporated into higher-end SAN systems to automate the checking of media with respect to its presence, integrity, and compliance with preset rules or standards. For ministries undertaking a high volume of production that relies heavily on stored media, these advanced tools ensure that media will be available where and when it’s needed. In selecting the right storage system, the key is to account for the anticipated number of users, hours of storage required, the bit rate or codec that will be used, and then extrapolate a multi-year deployment scenario. This helps a house or worship invest in capacity and performance accordingly. An experienced vendor can help to identify solutions that can meet a house of worship’s specific usage demands while providing smart, affordable scalability for future growth. A SAN-based storage and file system does more than capturing and editing media assets in a shared production environment. A SAN will also support a variety of media management and processing functions offered by other tools and applications within the workflow. Houses of worship can choose to manage stored media assets through a number of media asset management (MAM) systems, some simple and others complex. The facility’s desired workflow should indicate the functionality required and, in turn, the appropriate solution. Often, it is beneficial to take the time to test different systems and software solutions to verify the desired workflow in your specific production environment. Metadata indexing tools are indeed valuable in providing more searchable criteria than could be included in a simple filename. Typically, the metadata associated with each piece of content is stored in an out-of-band database. The database makes the content searchable according to what can be a narrow or a very broad array of criteria, depending on the user’s needs and how the database is configured. Links to the video files are typically included in the database record and this makes it convenient to view the media directly from the search results. Churches dealing with a predictable and reasonably small amount of media may not need extensive logging and search capabilities, while the largest faith-based production organizations will rely on these systems every day of the year. In both cases, metadata provides the technical information needed for more advanced media management functions, such as automated quality assurance and content verification appliances for all media assets on the SAN. Implementing a media storage system against a three- or five-year plan will enable a house of worship to save money in the long run. Careful planning is essential to choosing the class of storage and infrastructure that will fulfill immediate needs and offer the performance and adaptability for longer-range media goals. By defining those goals and working closely with their vendors, houses of worship can ensure that they are buying into a solution that will support streamlined file-based operations, accommodate changing video formats and standards, and deliver the useful product life demanded by the church’s budget cycle.